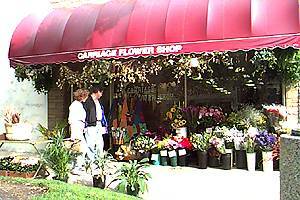 Carriage Flowers has been an Oak Park instituion and Mall anchor for over 30 years. In summeretime, their sidewalk floral display is always a pleasure. MouseOver the picture to go inside.